WUHAN -- President Xi Jinping has said that mutual trust is the basis for the stable development of Sino-Indian relations. 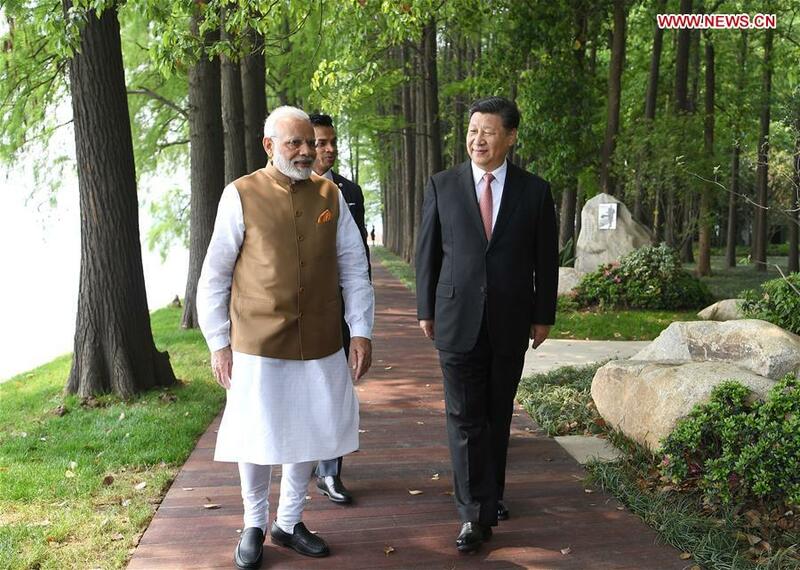 Xi made the remarks when holding an informal meeting with Indian Prime Minister Narendra Modi Friday and Saturday in central Chinese city of Wuhan. Xi said that both sides should develop Sino-Indian ties from a strategic perspective, constantly enhance mutual understanding and trust, and promote all sectors and people of the two countries to deepen mutual understanding and cultivate friendly feelings.